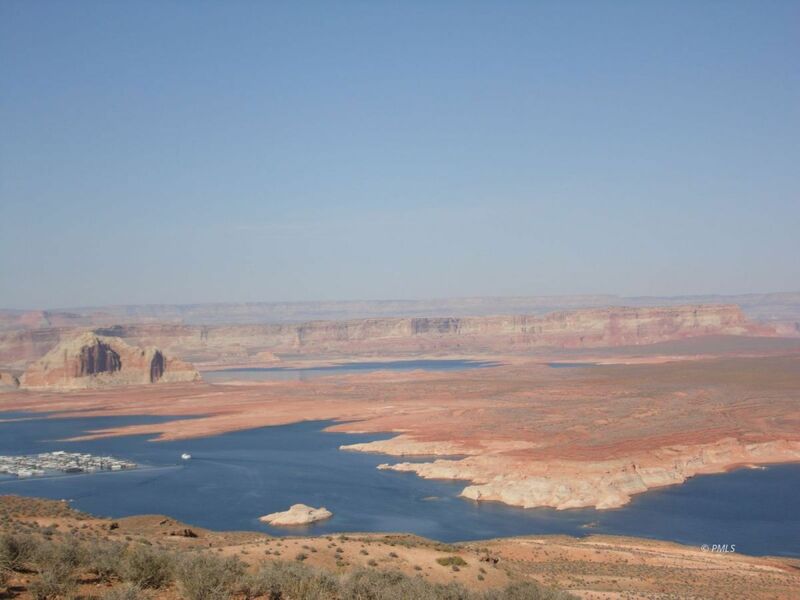 water sports are all within minutes of this custom built home near Lake Powell. One of the most well-built homes in the area with unique, hand-picked items incorporated in the design and style of this beautiful Santa Fe style home. Built in 1996, with 2558 square feet of living area and a 1456 square foot garage that has plenty of room for boat, jet skis and cars. Enjoy quiet living with panoramic views, covered deck, patio with hot tub and roof access for star gazing. The home features 11 foot ceilings with vigas and cedar latillas, hand carved posts and beams, built-in entertainment center, Kiva fireplace, hand painted Mexican sinks and tiles, limestone and tile counters, antique carved wooden doors and volcanic stone flooring throughout. This home is a half day drive from National Parks Bryce and Zion, Monument Valley and the Grand Staircase. This home is a must see if you're looking to live in this area or want a retreat at the Lake. Once you see this property, everything else will pale in comparison and you won't want to settle for less. Call me today to see this property. If you have any questions or would like to arrange a showing for any of these properties, please call us at (928) 645-8809 or click the button below to email us.